Get 2 Months FREE of PR News today! Begin your free trial subscription to PR News and you’ll see why hundreds of your colleagues already subscribe. PR News delves into the craft of communications and provides you with advanced best practices so you can achieve your business and career goals. We give subscribers access to the smartest minds in the business so that you can be the smartest person in any room you're in. 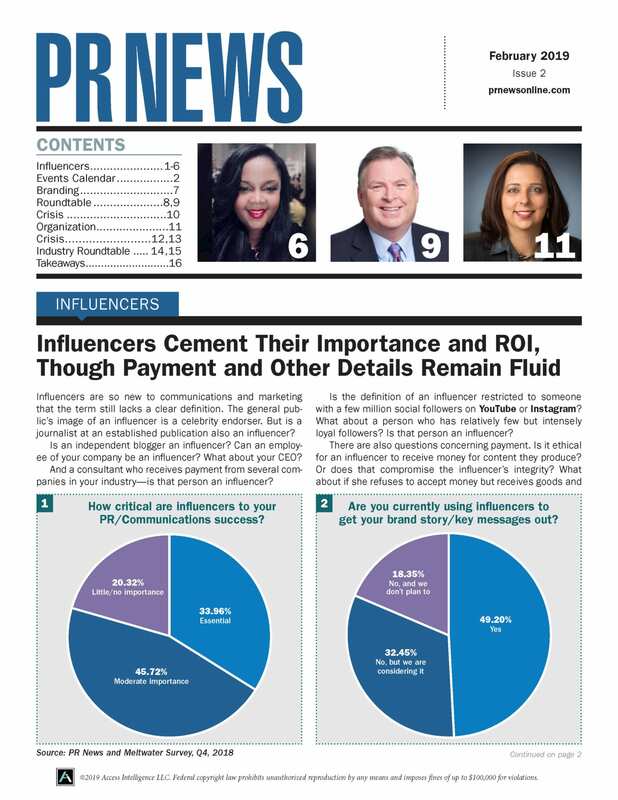 Those who subscribe to PR News are the leaders and innovators in the profession. Fill out the form below to sign up for your free trial and elevate your expertise in all-things PR, including: social media, crisis management, digital PR and marketing, media relations, writing, and much more. Sign up today to get your 2 free digital issues and 8 weekly email updates from PR News. If you have any questions regarding a subscription to PR News, please contact Client Services at clientservices@accessintel.com.